Skindred have been forced to cancel their US tour dates at the last minute. The statement continues: “We have unfortunately had to cancel our run of upcoming US tour dates which were due to start in Florida later this week. Many fans have questioned why the band have scrapped the tour on Skindred's Facebook page, but no other official reason has been given. However, The Chameleon Club in Pennsylvania – where the band were scheduled to play on October 3 – have blamed the no-show on visa issues. 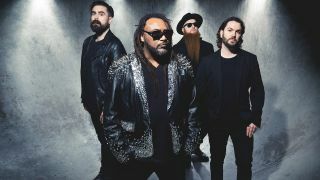 Skindred had lined up the tour dates in support of their new album Big Tings, which launched in April this year.